Amanda Nunes gave a dominant performance at UFC 200 in wresting the women’s Bantamweight Championship from the waist of Miesha Tate. The win marked the third consecutive title change since Holly Holm shocked the world and knocked out Ronda Rousey at UFC 193. Rousey had held the belt for more than 1,000 days, holding an unbeaten record the entire time — a rarity in the world of MMA. Since that brutal loss to Holm, many are wondering whether Ronda will return at all. However, UFC President Dana White remains hopeful that the return will come before the end of the year or in early 2017. Still, Rousey leaves a big question mark for Amanda Nunes, and the new UFC Bantamweight Champion will likely want to defend her title before January 1. So that leaves a question that many MMA fans were mulling over in their minds after Nunes’ victory. Whom should she face next? There are a few viable options at this point, starting with the obvious. Rousey has been quiet on her preparation and plans for a UFC return. Almost too quiet. It seems like all her appearances and reported-on actions to this point have drifted away from the sport. Still, there is the possibility that she could return to face Amanda Nunes in her very first fight. Dana believes that she deserves an immediate title shot for what she brought to women’s MMA and the sport in general, so it’s really her title shot to lose. That said, it’s unlikely a Rousey return happens before the first of the year. Odds of this match happening before the end of the year: 25 percent (until indication otherwise, it’s going to be a while before Ronda comes back). Holm’s dominant performance at UFC 193 and her dominance over Miesha Tate leading up to that Round 5 misstep resulting in her loss make her viable for a second shot at the title provided that she can get through her next obstacle — Valentina Shevchenko (more on her in a bit). If Holly beats Shevchenko, she is a natural second choice from a booking perspective since her notoriety remains high for having beaten Rousey. And with Tate sent to the back of the line, Holly vs. Amanda Nunes makes a lot of sense. Odds of this match happening before the end of the year: 75 percent (most name value, will likely beat Shevchenko). Shevchenko would be a good choice for Nunes provided that she can get past Holm. Why? Because Valentina has won five of her last six bouts, and the one loss was a unanimous decision to Amanda Nunes, so there’s enough history between the two to make this matchup interesting. There is at least enough there that Dana and Company can build on. Odds of this match happening before the end of the year: 50 percent (pushed Amanda Nunes to her limit last time they fought, good momentum, but likely will not overcome Holm later this month and even if she does, the No. 4 choice has a better claim to the title shot). Pena may be a dark horse candidate to face Amanda Nunes at this point, but she could be a great choice for a couple of reasons: 1) She is the first woman to win The Ultimate Fighter. 2) As the No. 5 UFC Bantamweight heading into UFC 200, she cemented her reputation as a rising star by dominating Cat Zingano in a unanimous decision victory. Odds of this match happening before the end of the year: 90 percent (contingent on Holm-Shevchenko outcome, Holm win would place her second in line, Holm loss would push her to head of the line provided Rousey doesn’t return before year’s end). So there you have it, readers. 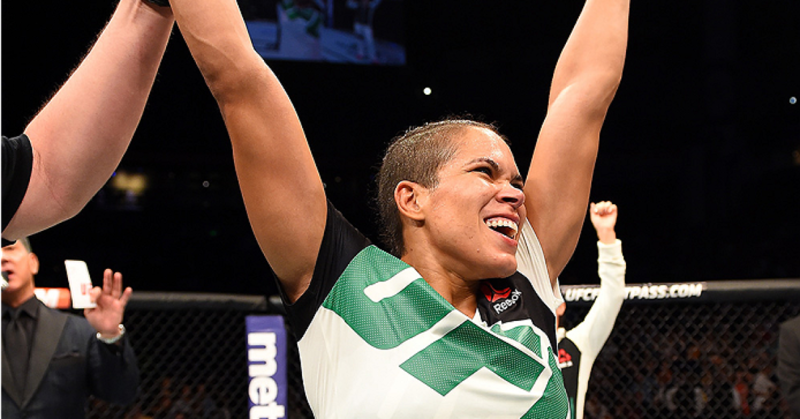 Who do you think Amanda Nunes should face in her first title defense? Sound off in the comments section.